The Arrowverse has a new hero…and she looks amazing. The CW gave us our first glimpse of actress Ruby Rose as Batwoman today, and in a word, she looks absolutely perfect. The crimson bat symbol, the cowl, the flowing red wig… Striding in front of a cloudy Gotham City backdrop, complete with her own Bat-Signal, it’s like she stepped right out of a J.H. Williams III cover. But don’t take our word for it, take a look for yourselves! Rose’s Batwoman suit was designed by Academy Award-winning costume designer Colleen Atwood, who along with her film work for directors Tim Burton, Rob Marshall and others, also designed suits for Arrow, The Flash and Supergirl. So, what do you think, Bat fans? Are you as excited to see Kate Kane brought to life as we are? 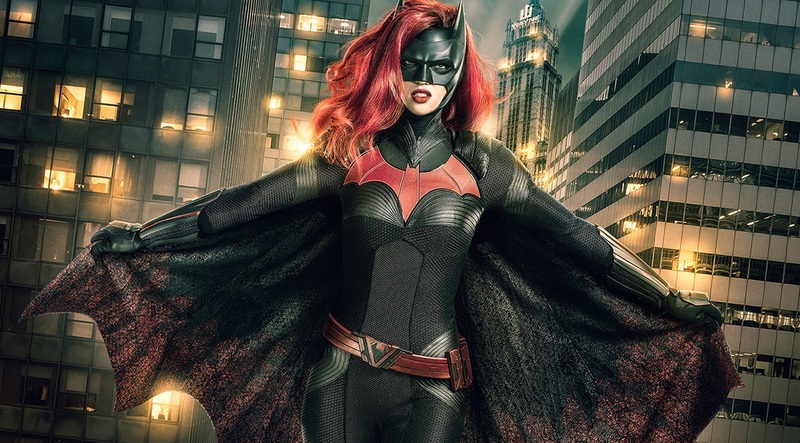 Look for Rose to make her Batwoman debut during this year’s three-night crossover event, “Elseworlds,” which kicks off on Sunday, December 9th on The CW. First Look: Superman vs. Rogol Zaar, Round Two!